The country bear is wearing his denim overalls and holding a jar of fresh honey, which he has gathered from his beehives. The top was made using a bandana print. The rich colors really do bring just the right touch to this oven door towel. This oven door towel is perfect, if you like bears, or even if you are a beekeeper. We use full towels for all of our oven door towels and every oven door towel has a button closure. 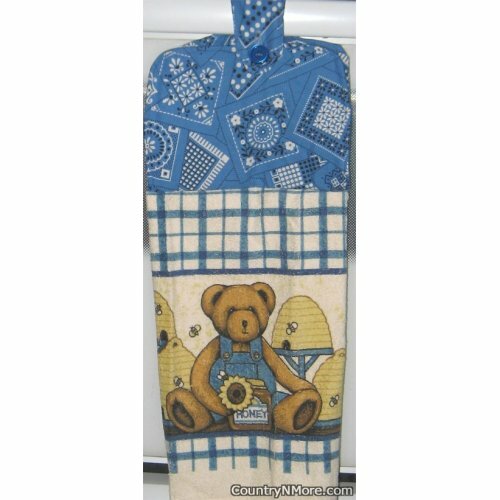 This is a one-of-a-kind oven door towel.